Powers of attorney are legal documents you can create from fill-in forms without legal advice, although for more complex matters you may want to work with a law firm. Every power of attorney gives another person, termed the agent, authority to act for the person signing the form, termed the principal. The trick is to select the appropriate type of power of attorney for your purposes and to be sure it comports with the laws in your state. Generally powers of attorney give an agent authority to make either financial or medical decisions for the principal; only financial powers of attorney are offered by banks. Many states offer power-of-attorney forms that, if appropriately completed and signed, fulfill all legal requirements in that jurisdiction. But you also can obtain appropriate forms from attorneys, reliable online legal service providers and financial institutions. Some banks only accept their own power-of-attorney forms for accounts in that bank. You can fill in a bank's form for use in those financial accounts even if you also complete a more general form appointing the same agent for other financial matters. It pays to figure out your goals before selecting a power of attorney form. If you want to name an agent to act in your stead while you cruise the seven seas for six months, a regular form will do, but be aware that such forms expire if you become incapacitated. If you want to put a document in place that names an agent to handle your financial matters if you are incapacitated, you need a durable power of attorney. A power of attorney that becomes effective only if you are incapacitated is termed a springing form. According to the Family Caregiver Alliance, some banks hesitate to accept springing powers of attorney because incapacity may be open to dispute. If you are using a bank's power of attorney form, bank officers will likely assist you in completing the document, signing appropriately and recording if necessary. Following state rules is critical to the validity of the document; some states mandate that your signature be verified by a notary, others by witnesses. Some states require certain types of power of attorney forms to be recorded, such as those involving a real estate transfer. If you obtain a form to complete at home, be certain to verify the signature and filing rules before considering the power of attorney completed. A power of attorney can give the person you name as your agent the ability to access your bank account, make medical decisions for you or accomplish other tasks. State laws vary, but if your power of attorney is not properly witnessed and signed, it may not be accepted by others and won’t actually give your agent the authority you intended. Generally, if an unexpected accident or sudden illness occurs, concerned family members cannot act on your behalf without the permission of a court. Through a power of attorney document, however, you can make important decisions ahead of time about who will represent you in this situation. Powers of attorney can appoint someone to act for you in financial matters or for medical purposes. 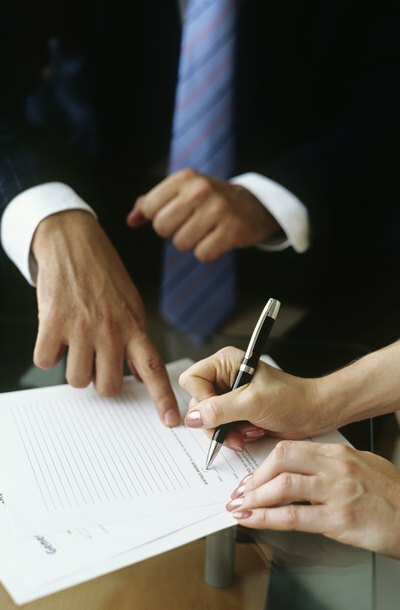 Powers of attorney are governed by state law and requirements may vary somewhat throughout the states. However, the basic concepts are the same. You can often get fill-in-the-blank power of attorney forms from your state, or you can visit an online document provider that may offer services as a package.